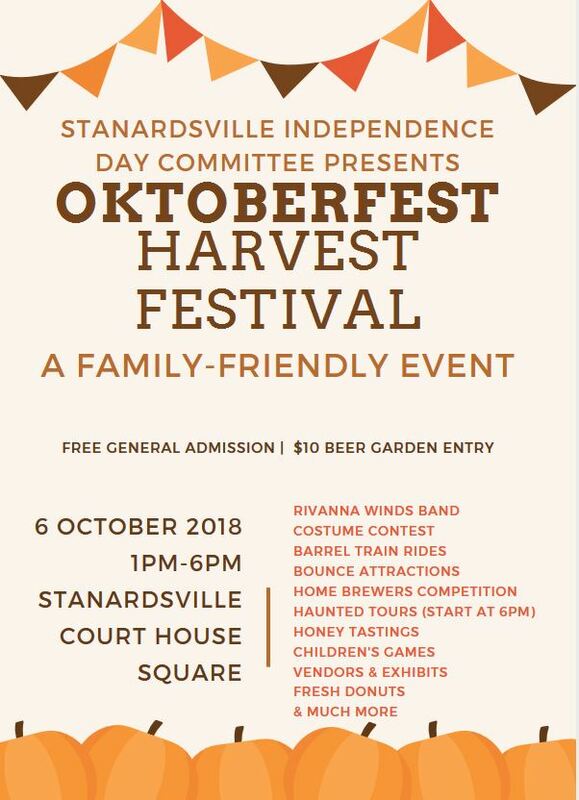 The first annual Oktoberfest in Stanardsville is scheduled for Saturday, October 6th, in Courthouse Square, from 1:00 – 6:00 p.m. The event features a beer garden and home-brew competition. Adults may purchase a tasting glass for $10. General admission is free. There will be live music by Rivanna Winds Band, as well as entertainment for children, including a bounce house, carnival games, barrel train rides, haunted tours, a costume contest, and more. 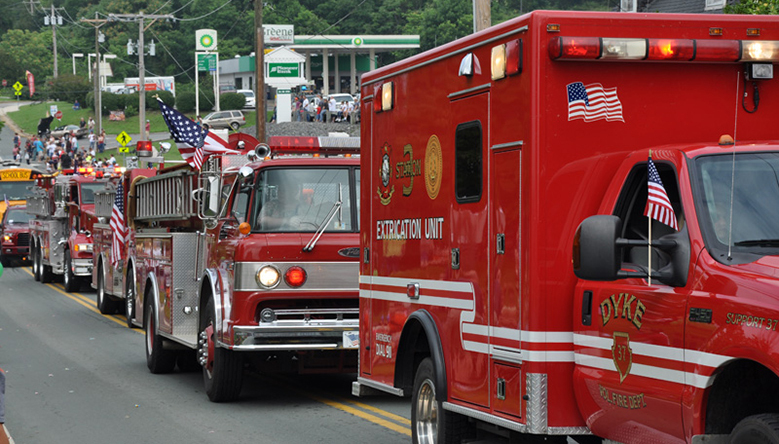 Proceeds will benefit the Stanardsville Independence Day Committee.